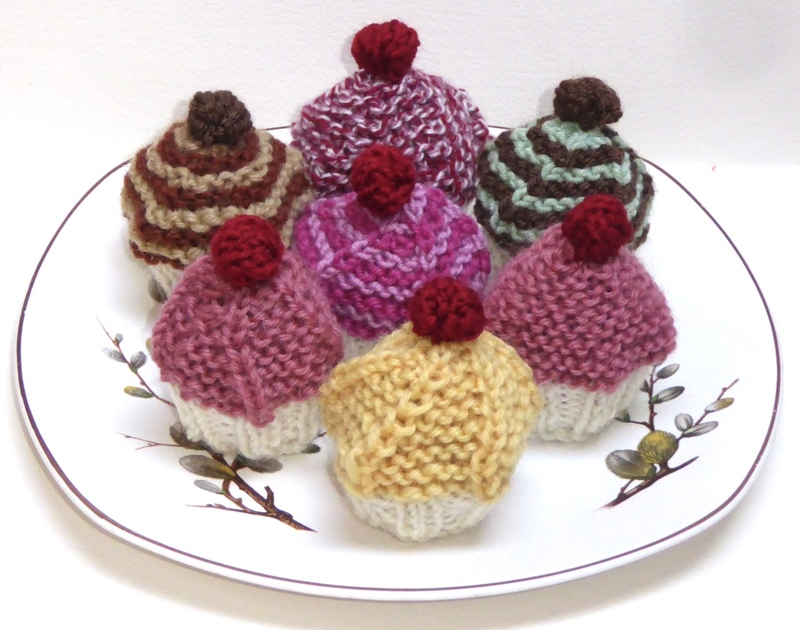 Today I released a couple of patterns, updated and radically altered versions of the Creme Egg Cosies I had previously released. I was a little surprised to find that the originals were published 4 years ago. They had been designed for 4 ply sock yarn leftovers and were a little time consuming for fundraisers. But the need for fundraising remains if our knitting group is going to raise the funds to go to Woolfest again this year. We did well with our Christmas Pudding and Tree Ferrero Rocher covers which funded the trip to Harrogate but the costs go up each year and we have to rise to the challenge. 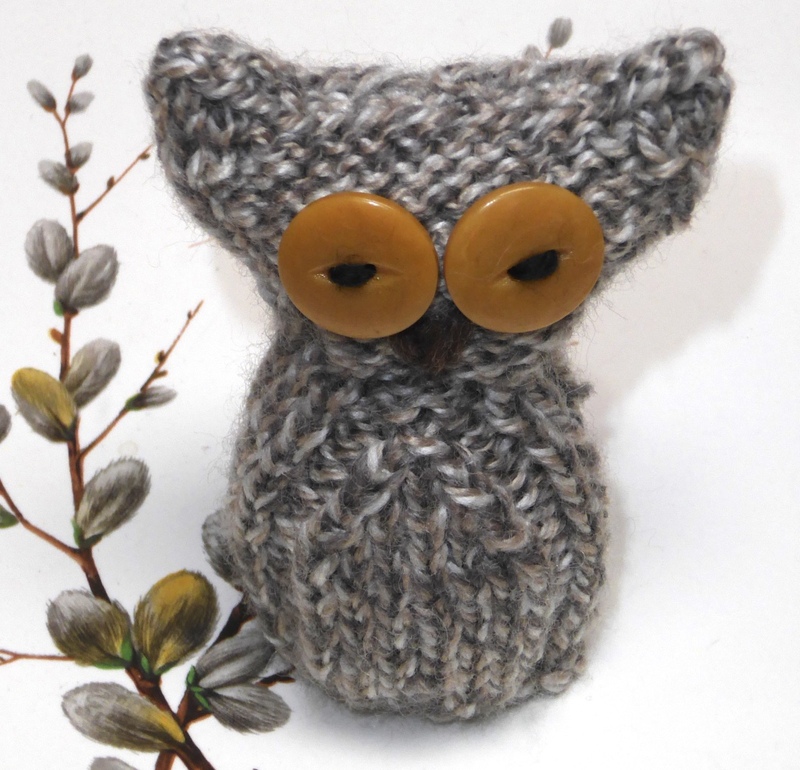 These Owl Creme Egg Cosies are knitted in DK yarn (each takes about 8g) and can be knit in the round, or flat and then seamed up the centre back. The creme egg literally fills out the tummy. 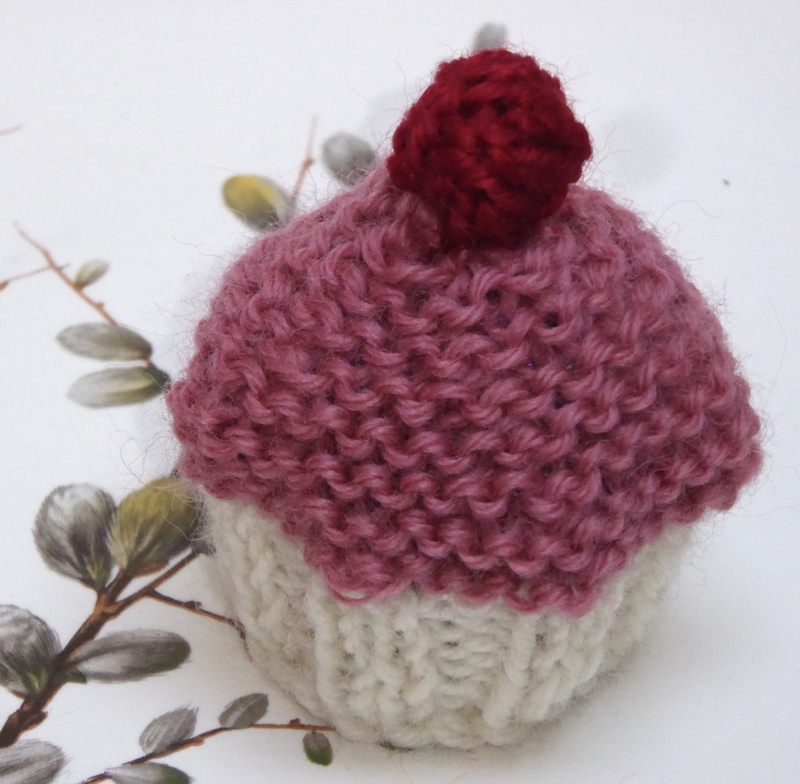 I’ve also updated the cupcake pattern. 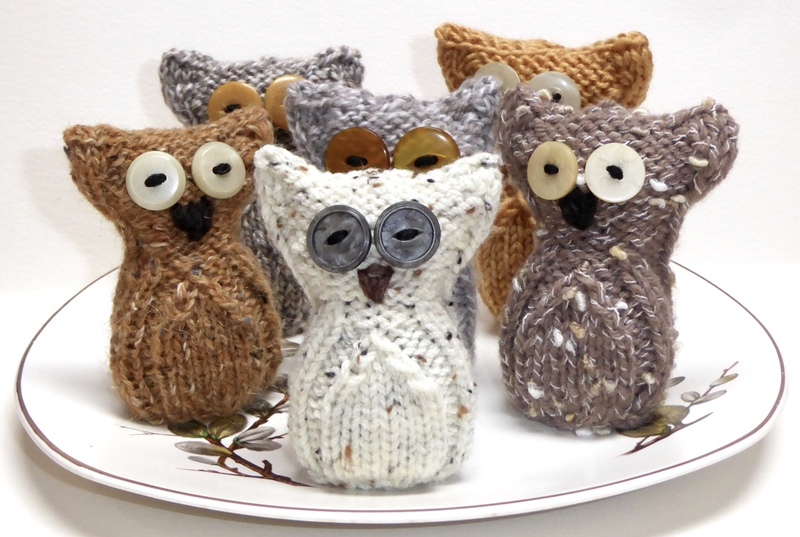 If you want to knit these for your own fundraising, or as gifts, the patterns are available via Ravelry (you don’t have to be a member to purchase patterns). 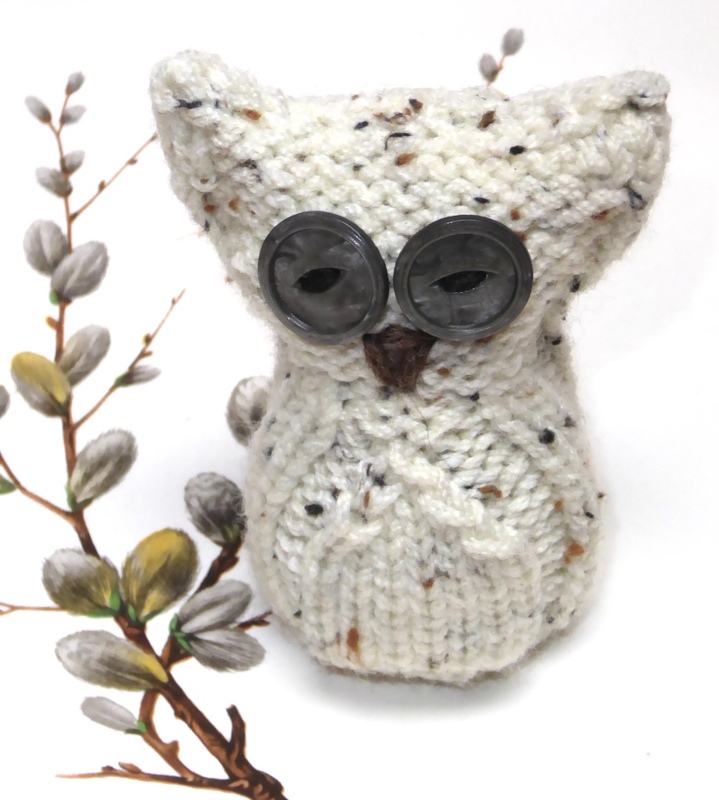 They’re priced at £3.00 each but until midnight GMT on Thursday 16th February you can get 25% off these patterns with the coupon code EarlyEaster, just enter the code at checkout.